Wired has a brilliant overview about how VR and AR could change the world. But has the secretive Magic Leap figured out the formula? Only three journalists have ever seen Magic Leap and lived to tell the tale. None have been allowed to share precisely why its secret technology is amazing enough to have raised $1.4 billion. But if you read between the lines of Wired founding editor Kevin Kelly's epic 8,500-word feature story on Magic Leap -- published today -- there are a few intriguing revelations about the company's secretive augmented reality glasses and how they might compare to Microsoft's HoloLens. Magic Leap is a lot like Microsoft's HoloLens. According to Kelly, both HoloLens and Magic Leap make computer-generated objects appear to exist in the real world by projecting images into partly-transparent, partly-reflective lenses that beam them into the user's eyes. Like HoloLens, it has a narrow field of view. Kelly writes that like the rival HoloLens and Meta 2 augmented reality specs, uses can only see virtual objects that are located right in front of them, in the center of their vision. When you start to turn away, they disappear. (With HoloLens, it's a huge limitation.) In fact, Kelly writes that the Meta 2 currently has the widest field of view... suggesting that Magic Leap's current prototypes have some catching up to do. You can focus your eyes on objects close to you, unlike with other headsets. "I found that it worked amazingly well close up, within arm's reach, which was not true of many of the other mixed- and virtual-reality systems I used," writes Kelly. I can vouch that Microsoft's HoloLens, the Oculus Rift and the HTC Vive have trouble displaying objects that close. It's comparatively comfortable to wear. Kelly writes that removing the Magic Leap prototype was "as comfortable as slipping off sunglasses," unlike other headsets. It's not wireless -- you'll be tethered to a battery pack at the very least. Kelly calls Microsoft's HoloLens "unique" because it isn't tethered to an external computer or battery pack...which suggests that Magic Leap still has a cable. Later, Kelly writes that generically, these headsets will "be wired to a battery in your pocket." 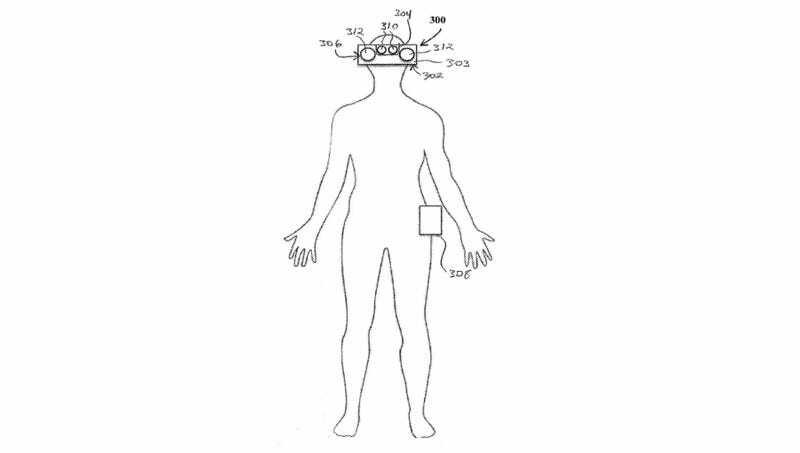 That description lines up with Magic Leap's patent diagrams. Like HoloLens, virtual objects can appear ghostly when bright light is present. "If I reposition my head just so, I can get the virtual drone to line up in front of a bright office lamp and perceive that it is faintly transparent, but that hint does not impede the strong sense of it being present," writes Kelly. 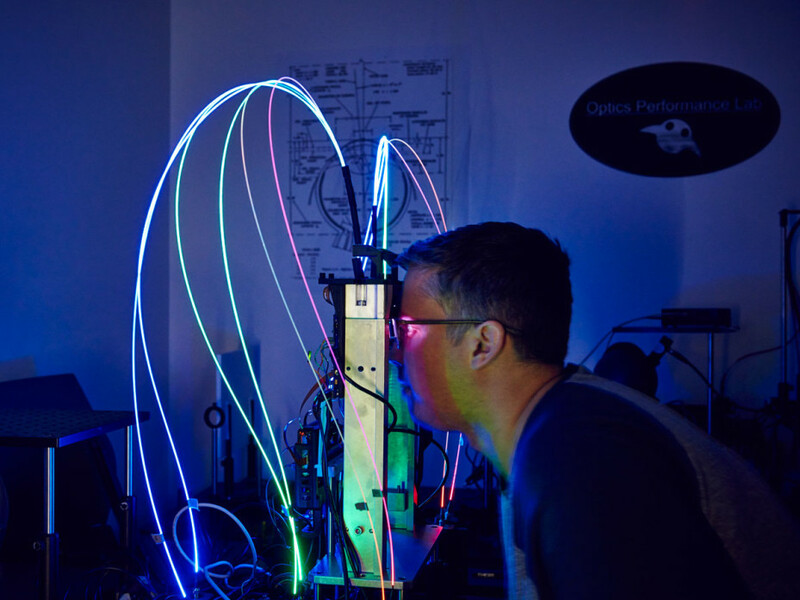 Prototypes use fiber optic cables to transport light to the optics. In a 2014 investigation for Gizmodo, I discovered that Magic Leap's chief scientist had been working on a new form of display that fired lasers down vibrating optical fibers, which would allow them to make lightweight glasses without bulky optics. Wired's story contains a picture which suggests that tech might still be in use. Update: some readers have suggested that the picture might show decorative electroluminescent wire rather than fiber optics. Lord of the Rings director Peter Jackson is personally committed to the tech. Not only is Jackson an advisor to Magic Leap, he also told Kelly that his companies will personally produce content for the headgear. Jackson believes that augmented reality could be bigger than mobile: "In 10 years I expect that mixed-reality technology like Magic Leap will be used as much as, if not more than, smartphones," he told Kelly. Don't expect Magic Leap to arrive this year. Kelly implies that Magic Leap is still a ways off. He writes that the rival Meta 2 augmented reality headset will ship developer kits this fall -- "likely well before Magic Leap." Correction, 3:32 p.m. PT: An earlier version of this post stated that Peter Jackson was on Magic Leap's board of directors. His Weta colleague Richard Taylor is actually on the board of directors, and Jackson serves on an advisory panel instead.